Crusading against tribal Pagans would prove to be much easier than Crusading against an organized, well-equipped Muslim army. Despite the success of the First Crusade, all was not well in Christendom in 1147. Christians in Europe were thrown into shock when the City of Edessa in Syria was captured by Imad ad-Din Zengi. Edessa had been the first Crusader State founded, and now it was the first to fall. 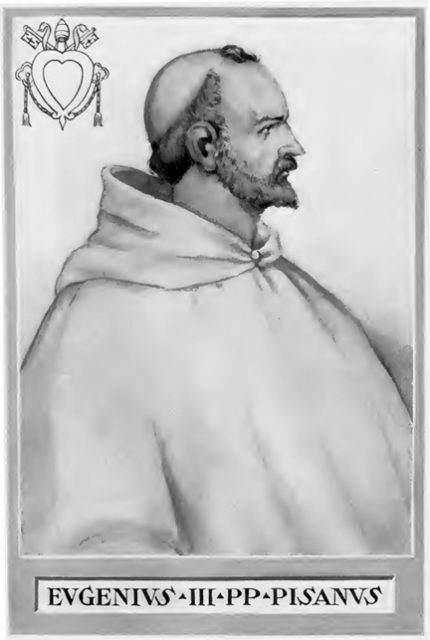 In response, Pope Eugene III called for a Second Crusade. The Pope called upon Saint Bernard of Clairvaux to preach the Crusade and offer crusading indulgences to those who would join it. However, as Christian Kings from France and Germany prepared to lead the Crusade, some Christians began to look north rather than east. 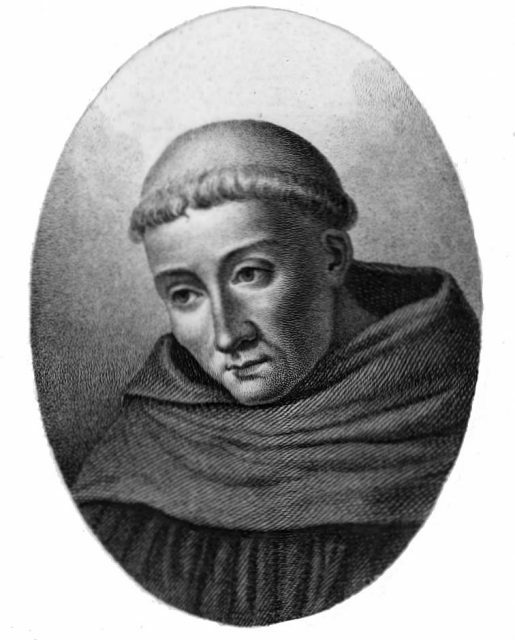 Saint Bernard of Clairvaux rallied a great deal of support. Everywhere he went people decided to join the Crusade, receiving Crusading Crosses and indulgences from him. As tales of his miracles spread, people eagerly joined up – everywhere, that is, except for Northern Germany. When Saint Bernard came to Germany, he encountered more mixed results. Even though King Conrad III and many southern Germans joined the Crusade, the Saxons in the north generally did not. The Saxons explained that they were facing non-Christians closer to home. A Slavic Pagan group, generally called the Wends, lived just to their north in what is today Northern Germany. Upon considering this fact, Pope Eugene issued a bull called the Divina dispensatione. This papal bull declared that there was to be no difference in spiritual rewards for Crusaders, regardless of whether they were Crusading against Pagans or Muslims. In other words, a Northern Crusade against the Wends was valid, and those who took part were eligible for Crusading indulgences. 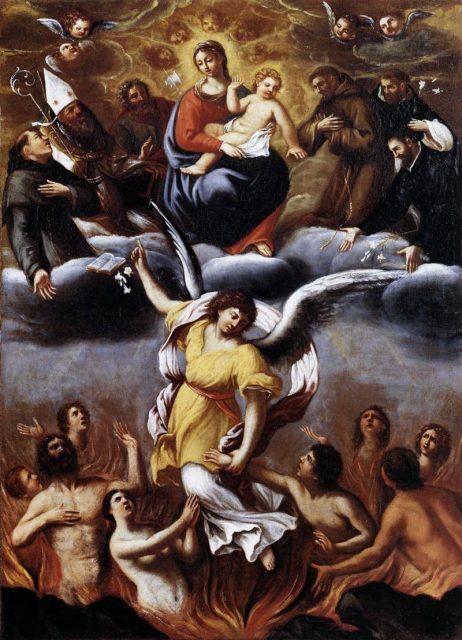 The idea of an indulgence is based on the Catholic belief in Purgatory. Catholicism teaches that it is not enough simply to ask for forgiveness after sinning – the sinner must also go through some sort of punishment to make up for their sins. If one does not go through penance, they end up in Purgatory, denied a chance to go to Heaven until their penance is fully complete. A Crusading indulgence (sometimes called a Crusader indulgence) was considered sufficient penance for any sins committed throughout one’s entire life. One might reasonably ask how Muslims taking over a city in Syria justifies a Crusade against Pagans in Northern Germany. There are two answers to this question, and both of them reflect opportunism. First, Christians had been pushing Pagans further north and east in Europe for centuries. Suddenly there was a great opportunity to get a Crusading Indulgence for doing so. These Crusaders could be rewarded and honored for doing something they had already been doing. It was far easier to raid 20 miles north than to march hundreds of miles to the Holy Land. Second, the Saxons themselves were the ones who stood to benefit from the Crusade. After all, once the Wends were pushed off their lands, those lands would belong to the Saxons. Lands in Northern Germany were especially valuable due to their fertile soil and access to the Baltic Sea. Access to the sea would allow Saxon rulers to start lucrative trade networks with much of Europe. This is not to say that every Crusader in the north was in it for themselves. Many of them were dedicated to converting the local population and spreading Catholicism. However, this Crusade was clearly an attractive one – the Crusaders would plunge into land that had never been Christian and fight against a people who could never mount a serious threat to them. Crusading against tribal Pagans would prove to be much easier than Crusading against an organized, well-equipped Muslim army. Despite successfully rebelling against the Holy Roman Empire in the late 900s, the Wends were not a difficult target for the Crusaders. Wendish society was primarily organized into tribal confederations, so they could not unite themselves to oppose an invasion very quickly. They also generally had inferior armor and weapons compared to the Crusaders. Their traditional Slavic Pagan beliefs were decentralized, leaving them open to religious and cultural conversion. Crusaders, primarily from Germany and Denmark, soon gathered to fight the Wends. One Wendish group, the Obotrites, launched a preemptive attack when they learned of the Crusaders’ plans. Although this attack was successful at first, it was crushed when the main Crusader force arrived. The Crusaders plunged into Obotrite territory. A Wendish army from Dobin managed to defeat the main Danish army under Danish kings Canute V and Sweyn III. However, Crusader forces under Duke Henry the Lion of Saxony soon laid siege to the fort guarding Dobin. The Wendish forces at Dobin, under the command of Prince Nyklot, soon surrendered to the Crusaders and accepted baptism. 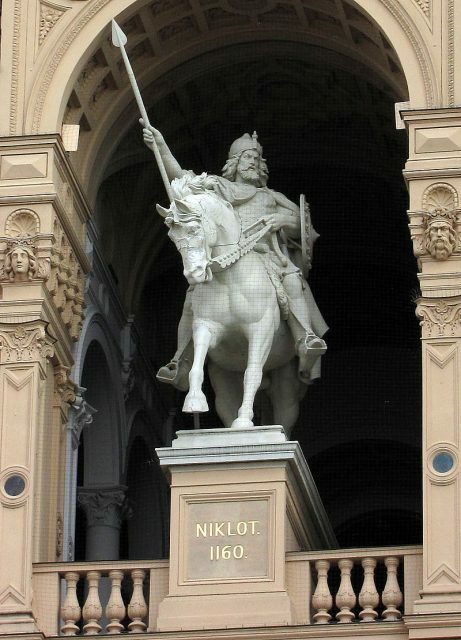 In reality, Nyklot himself never genuinely converted, and neither did many of his people. At this point, the Crusading armies continued toward the east, destroying Pagan temples, villages, and castles on their way. However, the armies disbanded when they reached Christian lands in Pomerania. And so the Wendish Crusade came to an unceremonious and mostly unsuccessful end. Although the Wendish Crusade failed to convert the Slavic Pagans of Northern Germany, it was successful in a more sinister sense. The Crusaders had ravaged the countryside, and much of the most productive Wendish land had been destroyed. The Wendish population was greatly reduced, partially as a result of killings that would be considered genocidal by modern standards. In fact, the Nazis compared Henry the Lion’s killing of Slavic Wends while increasing German land holdings to the Third Reich’s goal of killing Slavs in Eastern Europe for Lebensraum. 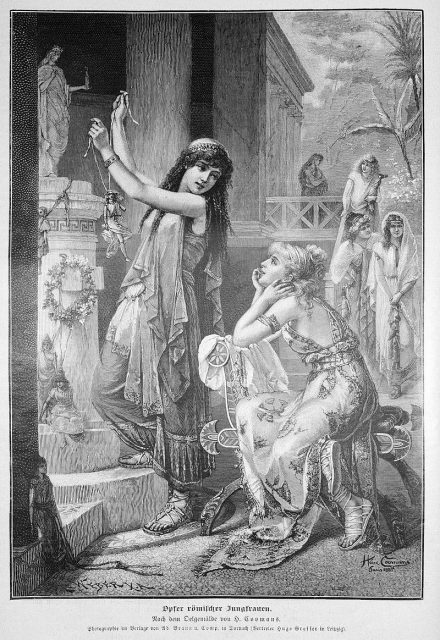 Although it is difficult to find sources detailing the extent of the destruction, the Wends lost much of their ability to resist later Crusades due to these losses. 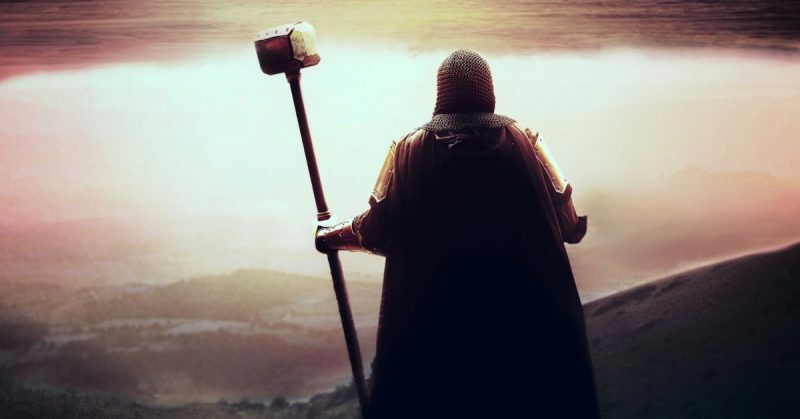 Read another story from us: Crusades – More Peace than War? 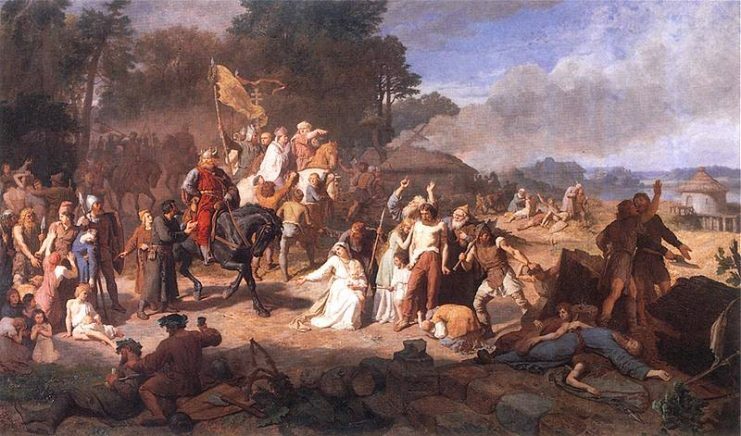 The Wendish Crusade also proved that Christian leaders were willing to fight for land and conversion of the local population in Northern Europe. Over the next few centuries many more Crusades, collectively known as the Northern Crusades, were launched into Northern Europe and the Baltic. 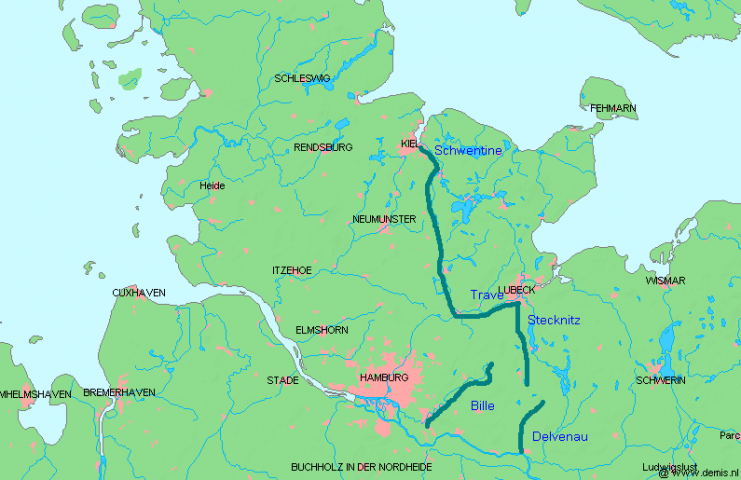 The Wendish Crusade may not have been immediately successful, but it ignited the Northern Crusades which eventually Christianized all of Northern Europe.